When it comes to decorating my home, I like to keep things super cute, but also budget friendly! Today, I’m going to show you my cheap and easy ideas to spruce up your home for Fall! I’m so excited to bring you another home décor blog post! Besides cooking, I love decorating and entertaining! I am THAT mom that likes to decorate for EVERY holiday season! Lol! I can’t help it! I get it from my mom. 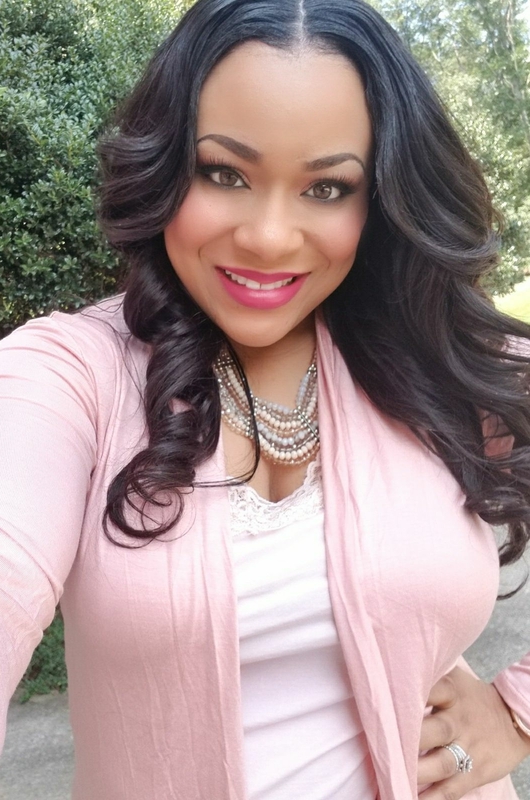 She would decorate our home for almost every occasion and I wanted to do the same when I got older! When decorating my home, there are times that I might spend a little more than planned on specialty items, but for the most part, I’m a true budget shopper! I live at places like Target, Big Lots, and the Dollar Tree! And of course, I’m a devoted Amazon Prime shopper which also helps me save some money! 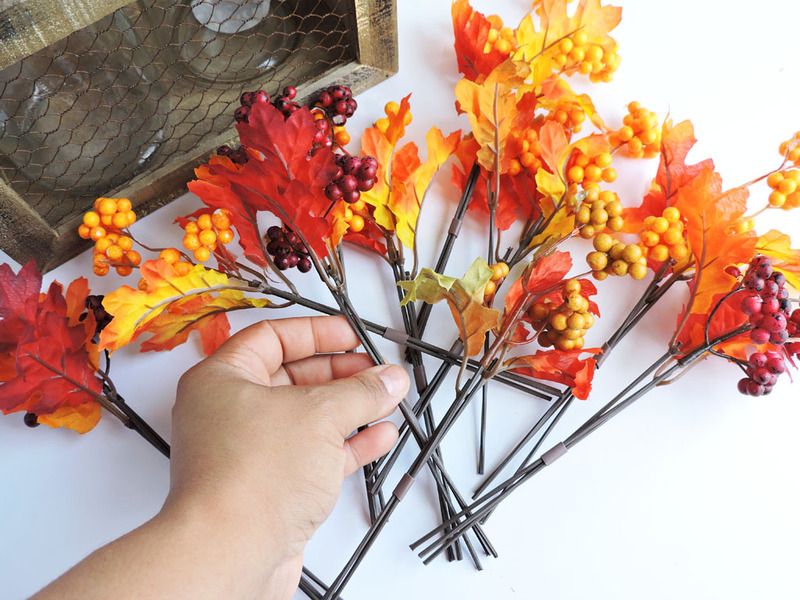 Since I like to have an element of décor in every corner and room of my home, I stocked up at the Dollar Tree and Amazon for a few inexpensive Fall essentials! I bought some artificial Fall flowers and leaves, glass milk bottles, table runners, stemless wine glasses, and mini pumpkins! 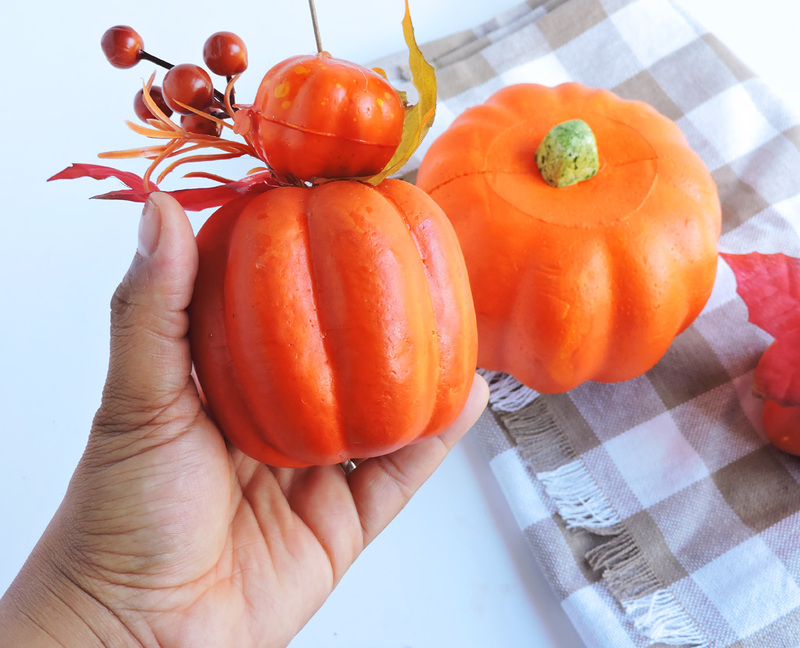 Let me show you how I was able to turn these items into 3 beautiful Fall decorations! 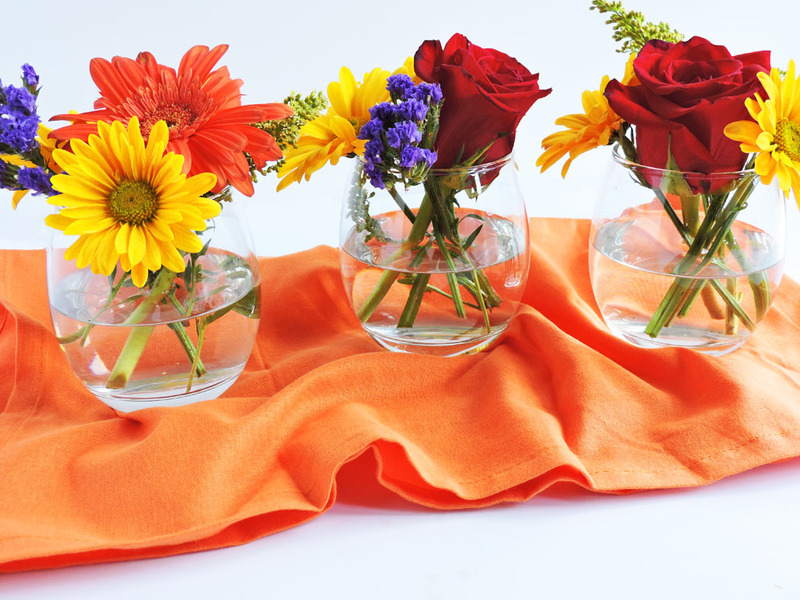 Did you know that your stemless wine glasses could be used as mini flower vases? 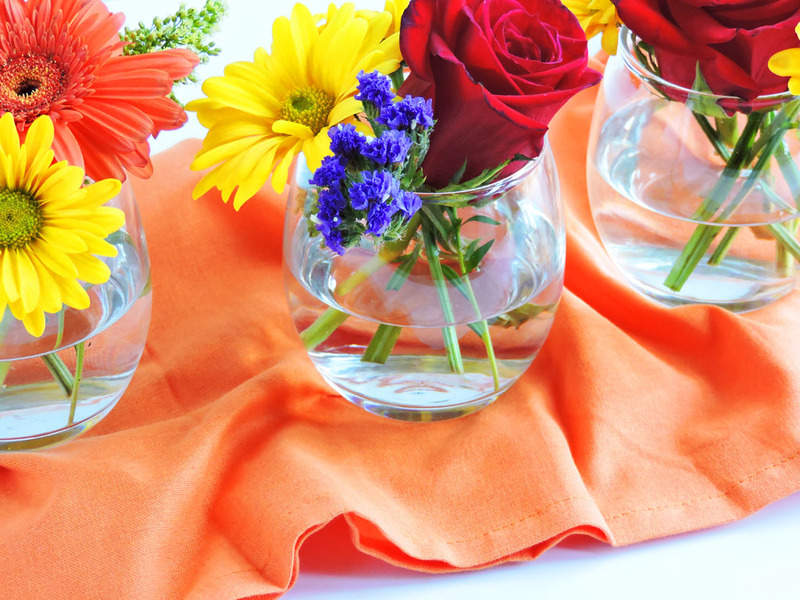 You can choose to use real or artificial flowers and cut the stems to make sure they fit into the glasses. I bought a bouquet of flowers at the grocery store that only cost me $5! I arranged these beautiful flowers in the glasses and added a colorful piece of fabric underneath to make the vases really standout! 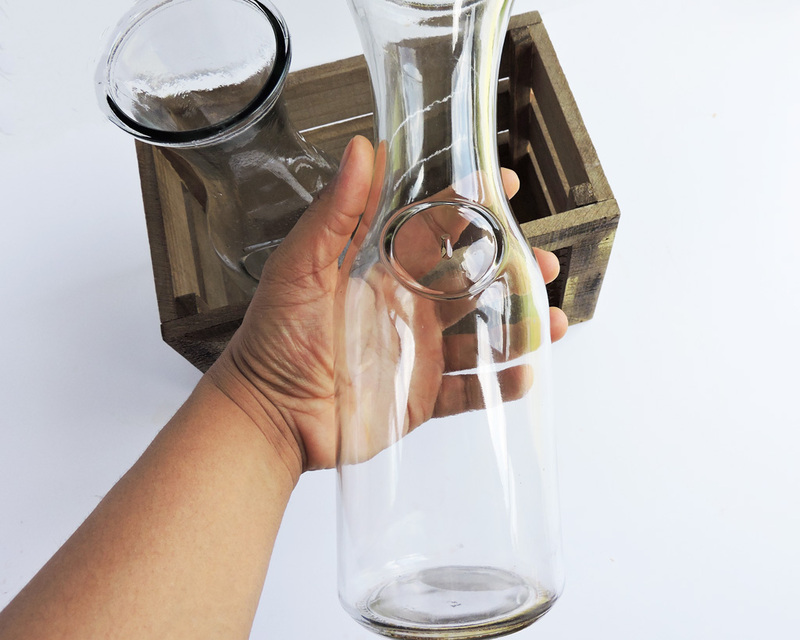 These are the stemless wine glasses that I used! 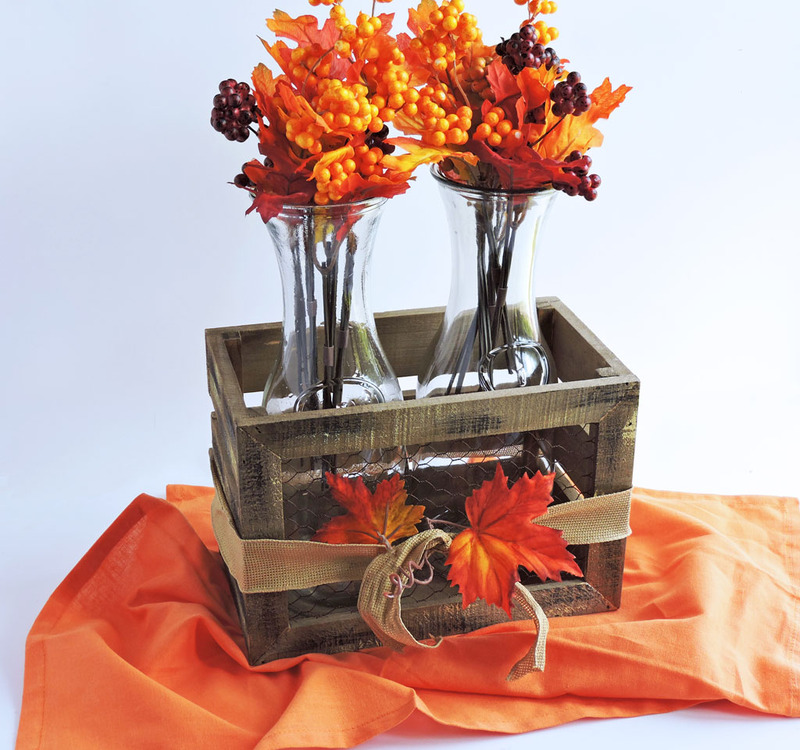 If you’re anything like me, you probably have a few wooden crates laying around the house so why not turn those crates into a Fall-inspired centerpiece! 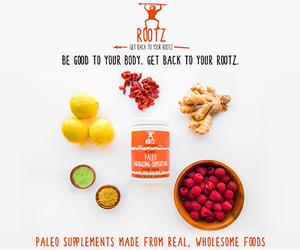 If you don’t have any wooden crates, click HERE! Those crates would work perfectly! I took 2 glass milk bottles, filled them up with these artificial Fall flowers that I got from the Dollar Tree, and placed the bottles in the crate. For the finishing touch, I wrapped the crate with a piece of burlap ribbon. I’ve been really into plaid this year, so I was completely stoked when I spotted this plaid table runner on Amazon! I love how it pairs well with the bright, Fall colors! 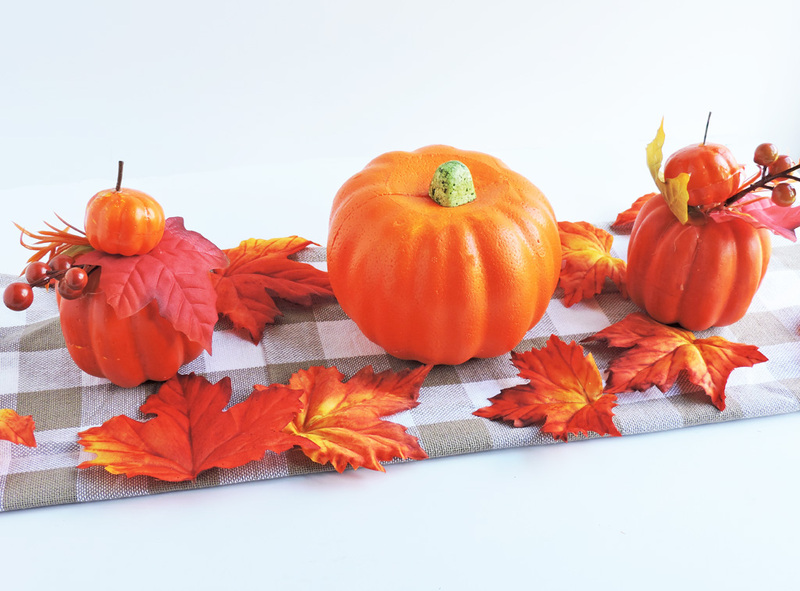 To bring this table runner to life, I added a few small decorative pumpkins and plenty of artificial Fall leaves! This simple design will look gorgeous on your dining room or kitchen table! 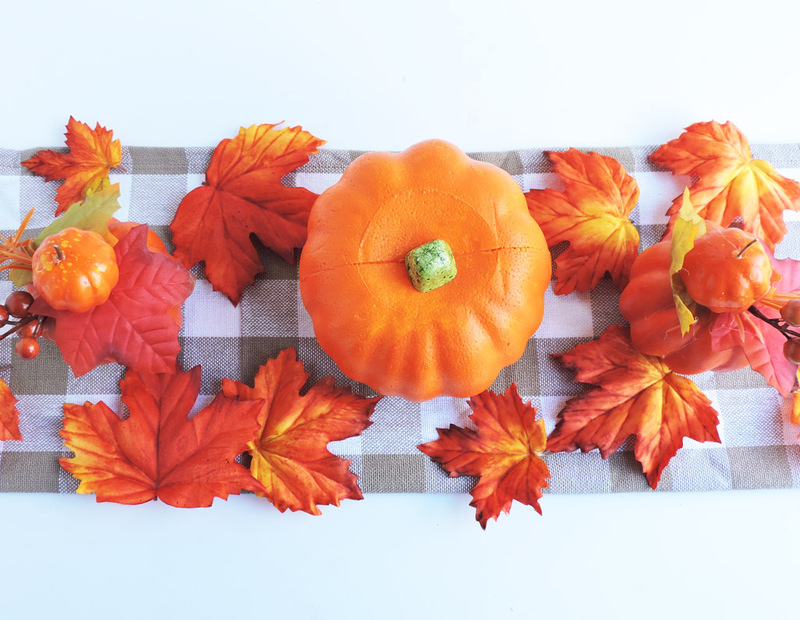 I hope that you enjoyed my cheap and easy ideas to spruce up your home for Fall! For more home décor inspiration, follow me on Pinterest!